Heat oil in a deep thick bottom vessel. When the oil is heated up add chana dal and dry redchilli and saute it until it is light golden brown. Add in shallots and ginger chopped and toss it for a minute..Now add the chopped carrots and tomatoes and salt in it..and mix it well. Cover and cook it on a low flame for 5-8 minutes till the carrot becomes tender. Now remove it into a plate and allow it to cool down. When its is cooled grind it all together in a grinder and sprinkle boiled and cooled water into it for making it puree. Now heat a kadai and add oil in it and put all the seasoning ingredients in it and sizzle for a minute. Add these onto the grinded chutney to add its aroma and mix well. 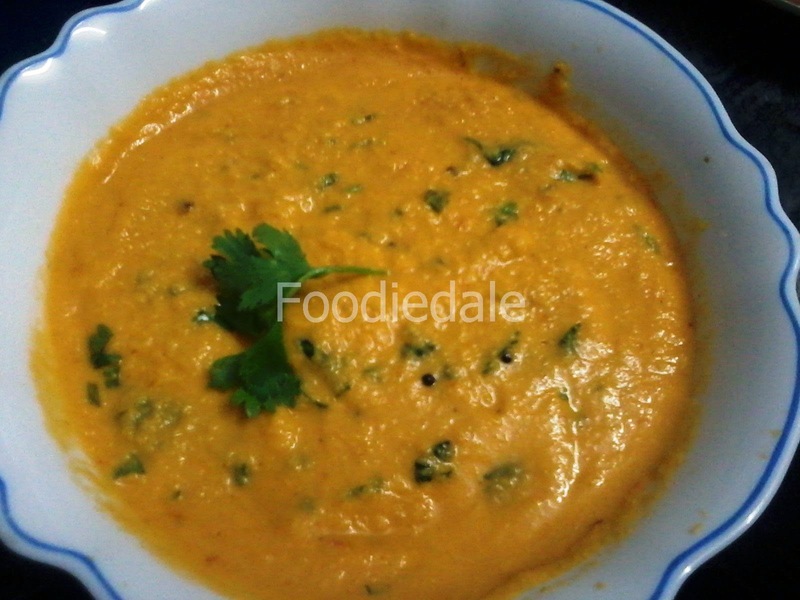 Serve it with yummy idli or dosa .